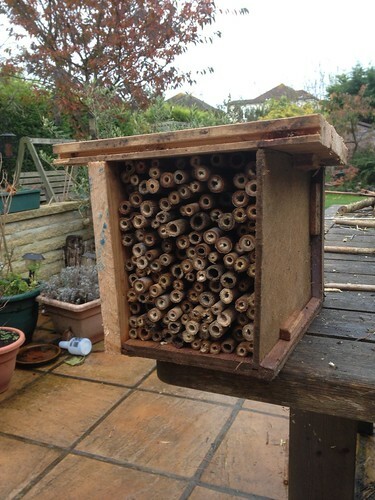 As a little weekend project I decided to build a solitary bee house. I was inspired by a twitter post by eco living advocate and bee enthusiast, Brigit Strawbridge (#BeeStrawbridge). 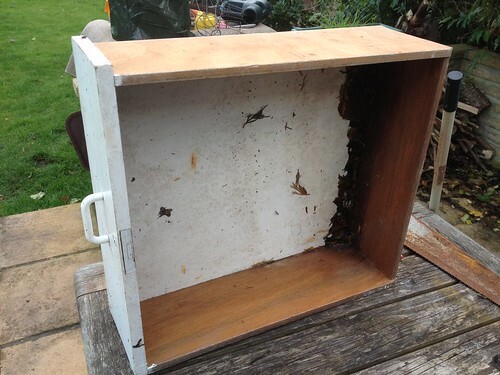 She posted a video of mason bees using her bee hotel last April and it looked like it would be very easy to make and hopefully help some bees. I started out with an old drawer which I’d had hanging around. It was probably a bit of a mistake to use it as it gave me nothing but problems. 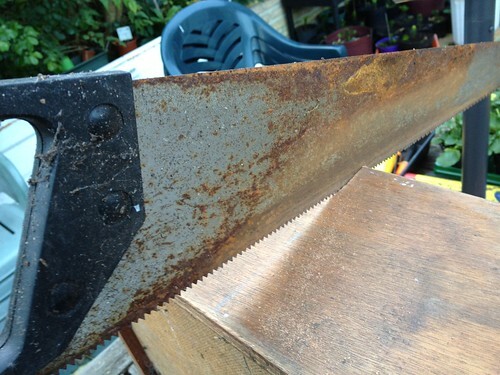 Yet using perhaps the bluntest saw known to man, I began my massacre of the said drawer. After some hours and a lot of swearing and cursing I ended up with something, if not of beauty, of function and perhaps a rustic charm.